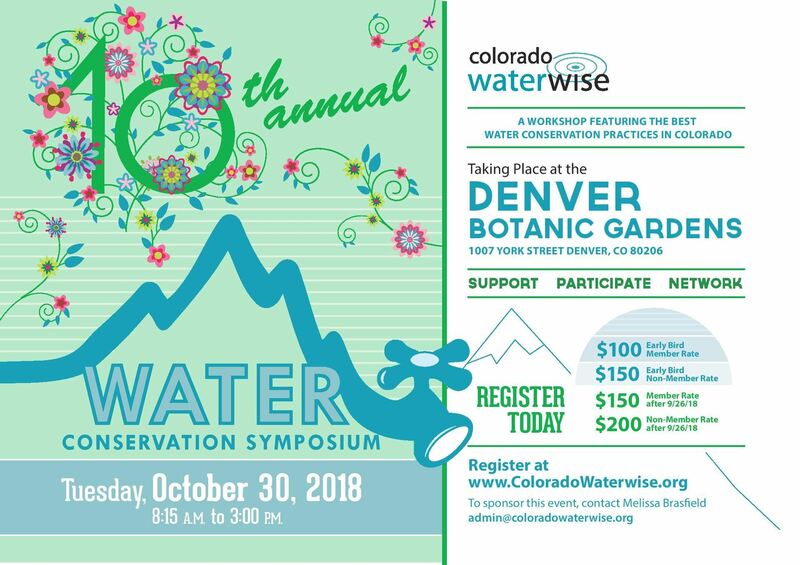 Join us for the 10th Annual Colorado WaterWise Water Conservation Symposium in Denver, Colorado! We have a great program that will appeal to many audiences. The final program is available here. If you are interested in sponsoring the event or have additional questions, please contact Melissa. Cancellation Policy: All cancellations emailed to admin@coloradowaterwise.org before COB October 16 will be refunded in full. Cancellations emailed by COB October 23 will receive a 50% refund. After October 23rd no refunds will be given; however, substitute registrants are always welcome.